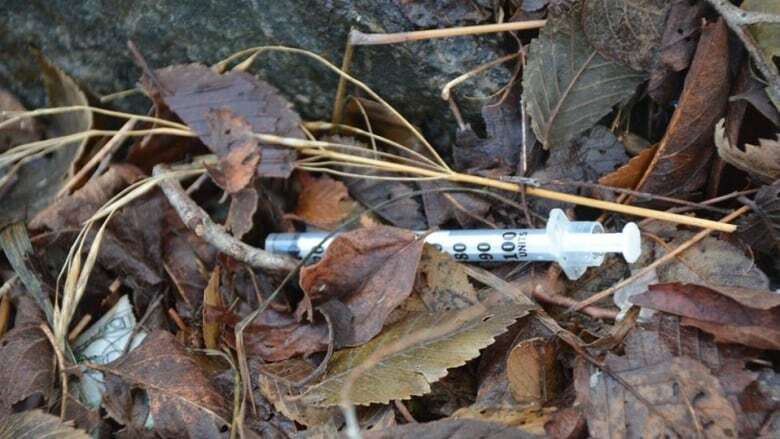 A proposal is being prepared in Sudbury to have a supervised consumption site in the city but some say action needs to be taken now. On Thursday, about 50 people met to hear more on how public health officials and their allies are responding to Sudbury's growing opioid crisis. In 2017, there were 34 opioid-related deaths in Sudbury. The associate medical officer of health, Dr. Ariella Zbar, says work has begun on a proposal for a supervised consumption site, but says it will take at least a year to put together. Staff with the Sudbury Action Centre for Youth pick up used needles and work with users to reduce harm. Interim director Julie Gorman says lives could be saved now if there was faster testing when people turn in suspected tainted drugs. "In order to get something tested it does take weeks because we are seeking things out and this testing is something that is not readily available," she said. "If we were able to have greater access to these testing kits it would be something that could be done immediately and on hand so that a person can know what they're taking before they take it." Gorman says with Sudbury being so geographically large, support is needed throughout the entire city. "We're working on getting outreach vehicles to reach further outskirts of the community," she said. Public reaction was mixed on the best approach to move forward to address the issue. Karla Ghartey, a nursing professor at Cambrian College, says she's in favour of a safe site where users can inject drugs. However, she points out that doesn't deal with the present problem. "Right now, people are dying," she said. "Last week, this week, today, tomorrow, what are we going to do?" Andrea Gosselin, a postal worker, says more has to be done to make sure used needles are properly disposed of. She says through her job, she sees many discarded needles in public places. "It's not safe," she said. "I've cleaned up containers myself [of used needles]."